rength equally valued. The physical act of singing encourages health, developing excellent habits of posture, breathing, support, resonance and vocal production. 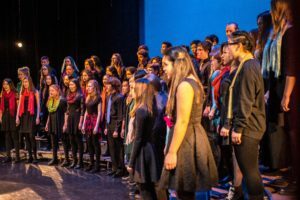 Participation in the choral community at NWSS is enriched by activities such as concerts, festival performances, workshops and clinics with professionals, collaborative performances with other artists/ensembles and trips/tours. Past tours have included Cuba, New Orleans, Banff, Ottawa, New York City and San Francisco. Concert Choir Semester One- on timetable for all grades and all levels. September to January. Concert Choir Semester Two- on timetable for all grades and all levels. January to June. Chamber Choir- Auditioned ensemble for experienced singers in grades 10/11/12. Rehearsals 7:15am to 8:30am Tues/Thursday. Course runs all year with a tour in the spring. 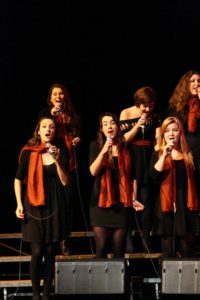 Vocal Jazz level one and two- students will be placed in a level by the teacher once the course starts. Rehearsals 7:15am to 8:30am Mon/Wed/Fri. Course runs all year with a tour in the spring. Senior Choir- Intermediate level choir for all singers in grades 10/11/12. Rehearsals 3:15pm to 4:30pm Tues/Thurs. Course runs all year with a tour in the spring.